Caterpillar begins full time school in September and I’m really excited for this new stage in our lives. I want to support him in any way I can but it’s been a while since I was in school and I fear styles of learning have changed a fair bit. One thing I’ve heard a lot about in the last few years, but have almost zero idea about, is phonics. 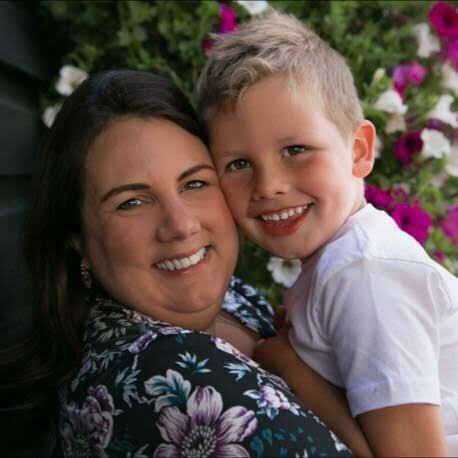 There are so many books and learning aids related to the phonics system that it can be a little overwheming for a novice, so I’ve enlisted the help of Joy Reekie from Oaktree Designs to find out more. 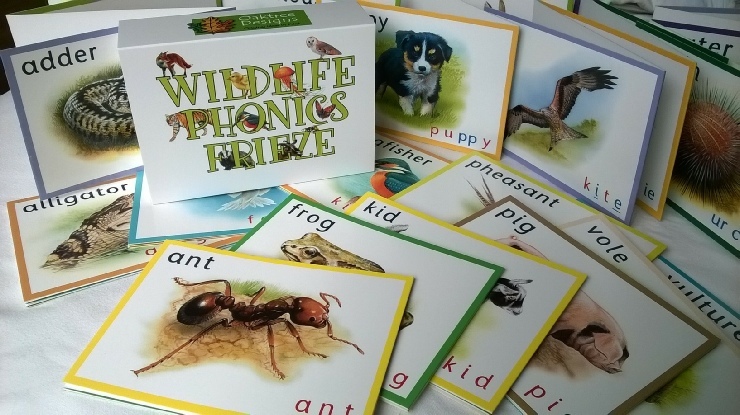 Oaktree Designs have developed a Wildlife Phonics Frieze, which you may remember from my preschooler gift guide last year. Joy kindly agreed to be interviewed about the phonics system and how we can use it to help our kids learn to read and write. Hi Joy, thanks so much for getting involved. 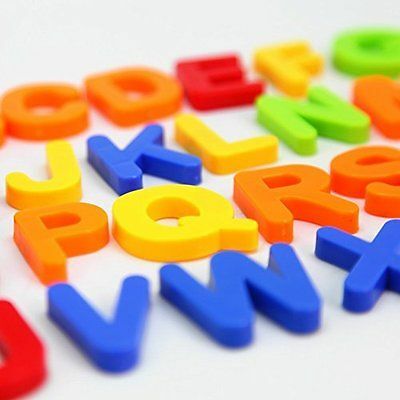 First off – what actually are phonics? Phonics is the system whereby reading and spelling is taught by recognising the sounds in the English language and their corresponding letter (or letters) in the alphabet. There are only around 44 sounds in the English language and these are taught one or two at a time, over a relatively short period, together with their corresponding letter, or letters, which are referred to as graphemes. Difficulties arise when letters are given more importance and the sound ‘that the letter makes’ comes afterwards. Systematic synthetic phonics recognises that sounds come first and that letters don’t make sounds. The teaching sequence of the sounds is selected in such a way so that real words can be read and written from the start. How does this system differ from how we used to read? Many people don’t remember how they learnt to read. This is likely to be because we learnt easily and quickly. But more than that, we were ready to read having achieved fluency in oral language through stories, games and conversation of all kinds. The method that was employed in the 50s and 60s was primarily the ‘Look and Say’ method where individual words were looked at and memorised; these key words were then used in simple sentences which would be read, re-read and copied out. More time was taken in learning to read, write and spell as the curriculum was much more simplified in the infant years. Because there are many words which are used frequently, this method seems quite workable. And in the past, two other factors contributed to its success. One, the key words were almost always used in sentences so that they provided context; two, the children in those past decades were not rushed through the learning process as they are today. What are the benefits of learning this way? Children’s ability to remember whole words is extremely variable. We all know children who can learn spellings for a test but then can never remember the correct spelling again. Using a synthetic phonic method, the child is taught to read by sounding out the individual graphemes and blending them together to read the word. In reverse, the child can say the word he/she wants to spell and then write the graphemes for each sound. In this way children should learn that our alphabet is a code which they can master; and like all codes it is reversible. Sounds can be written down as letters to build words and words can be read by blending the sounds. this method gives all children the skill to de-code so that they feel confident and able to ‘have a go’ without the insidious practice of guessing. If your child tries to sound out a word but has difficulty, just tell them the word, blend the graphemes for them and move on. Guessing a word is never, ever a good strategy. Neither is looking at pictures for clues. This is a ‘mixed method’ approach and will only result in confusing the child. These strategies are still used by many teachers who regularly combine every method they’ve ever known. Using the phonics method we can eliminate the mixed methods which are still advocated by many teachers. Why are they still advocated by many teachers? Because that is the way they’ve always done it! And changing people’s beliefs is always difficult. Teachers who use mixed methods say that ‘every child is different’; ‘what works for one child doesn’t necessarily work for another’. So they use different methods. This is not logical. People don’t use different ways of teaching children to swim, or to cross the road, or to play an instrument. How is the order of learning phonics constructed and why? There are a number of accredited phonics schemes in use across the country and they each have a slightly different order. The Letters and Sounds model is most commonly used because the government introduced it, although I don’t rate it as the best. The idea is that a small number of sounds is introduced at a time. All the single letters’ sounds are introduced first before you progress to sounds that need double letters and then sounds which have graphemes with two different letters. And so on. The letters inside slashes indicate the sounds. It’s important to grasp this because we have to have a way of writing down the actual sounds. In real life of course, when a sound is written down it becomes a grapheme, or part of a word. The remaining phonemes/graphemes are introduced gradually starting with the most commonly used and progress to the most complex and less frequently used. In the Letters and Sounds document, Phase 2 begins this formal process and progresses through to Phase 5. What is Phase 1 then I hear you say? Phase One is a very interesting and very important phase which involves all the stuff that should be done before formal reading and phonics begins. 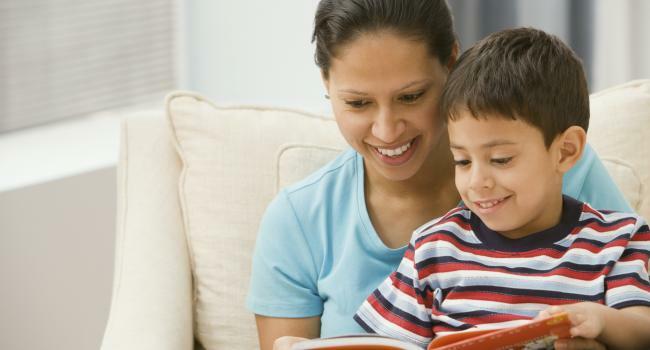 Speaking and listening activities feature heavily and stress the importance of reading readiness. A lot of children enter Reception totally not ready to learn to read, especially those who haven’t attended a nursery. Some can’t speak clearly at all and so will probably have great difficulty hearing sounds. For them the answer is structured play, following the recommendations in Phase One; lots of conversation to develop vocabulary and of course, lots of listening to stories, singing nursery rhymes and practical activities using a range of apparatus. For children who have had the benefit of these activities prior to school, well, they are probably quite ready for the next challenge. Sadly, nowadays, many children are pushed around in buggies while mum is looking at a phone; the result is children with under-developed oral language with their natural curiosity blunted by lack of stimulation and interaction. Harsh, but true. Why is the sequence of learning not ordered alphabetically? Quite simply, children don’t need to know the whole alphabet of sounds and letters all in one go. In the same way everything we learn starts with the simplest skill: learning scales on the piano; splashing in the water of a paddling pool; riding a push-along bike; scribbling with chunky crayons. Words can be built with only a few letters and the best ones are those that are the most frequently used. Letters and Sounds begins its programme with s,a,t,p,i,n. If you started with the first six letters, a,b,c,d,e, you would have quite a limited number of words which you could make and they wouldn’t include the most frequently used letters. If you tried to teach all the letters and all the sounds all at once, chaos and confusion would result. How can we help our children to learn in this way? Encourage conversation at every opportunity. Speak clearly so that they can hear the sounds of our language and play games like I-spy using sounds, not letters. So many resources are available to facilitate pre-reading activities but reading stories to your child, so that they begin to understand the link between the symbols on the pages and the words you are saying, is essential. Make a simple book with photos and corresponding phrases in, things that are personal and familiar to your child: Mummy’s bag. My dog. He is big. We saw a cow. I can see a ball. The child will be very happy and confident about bringing out his own book and showing everyone he can read it. Children learn so much before they get to school. The very early years of a child’s life are arguably the most important in their future success. Because of this belief, I created the Wildlife Phonics Frieze. All children love animals and it is important that we nurture this love and curiosity. The frieze is a semi-permanent resource designed to be displayed in a child’s room or in a nursery or reception setting. Frieze One alone includes in the phonics of its panels 34 of the 44 sounds in the English language. Once your child gets the connection between the picture and the written name, the phonics are there for you to blend together with your child and when they are ready, maybe when you redecorate the room and it changes in nature from a baby’s room to a four or five year old’s room, it will be time for Frieze Two. In the whole set there are three friezes and will take your child on its whole reading journey from infant to 8 years old. The Wildlife Phonics Frieze is completely gender-neutral and turns any space into a learning environment. The phonics and the animals have been chosen extremely carefully to fulfil my initial aim: to get children on the road to reading without stress, pressure, anxiety or a sense of failure – all of which I have seen in schools in children who gradually fall behind. I can’t thank Joy enough for her fantastic explanation and I hope you’ve found it really useful too. Oaktree Designs have kindly offered a 50% discount to anyone who buys directly from Joy after reading this post. Oaktree also run Phonics for Grown-Ups workshops for parents who wish to learn more. To take advantage of the 50% discount please call Oaktree Designs on 07590 850731 and quote “Butterfly Mum,” or for further information about the Wildlife Frieze visit www.oaktreedesigns.co.uk. Next Next post: What Is Perinatal OCD & Why Don’t Our Doctors Understand It?